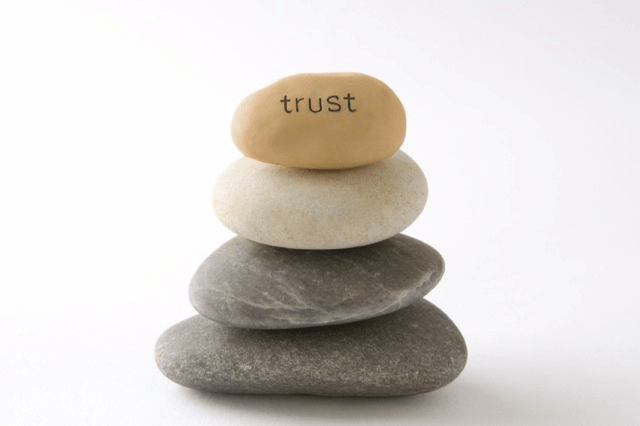 Need Some Leadership Advice on Building Trust? Take a Hike! Competent leaders build trust with their followers. Leaders can be experts in their particular field of technical expertise, but if they aren’t competent in the skills of leadership, followers will lack trust and confidence in their ability to lead the team to success. A friend and former colleague, Danise DiStasi, has recently co-authored a book with J. Ford Taylor that provides a helpful model for leadership success. 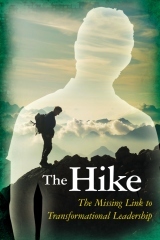 In The Hike – The Missing Link to Transformational Leadership, DiStasi and Ford share the story of a struggling corporate executive, Stuart, who discovers new personal and leadership insights that turn his life around while on a weekend hike in the mountains. Part of what Stuart learns is the V-STTEELE model, a tool to build leadership competence which in turn builds trust with others. Vision – Developing and communicating a vision is a foundational role for successful leaders. It’s easy to get twisted up in the distinctions between vision and mission statements, but suffice it to say that a vision is a compelling picture of the future that describes the destination the team is trying to reach, the purpose of why the team exists, and the values the team will use to carry out their work. Casting a clear vision answers the “why?” question of what leaders do. Serve – Some people hear the words “serve” or “servant leadership” and mistakenly associate them with concepts of weak, mamby-pamby, touchy-feely leadership. Servant leadership is quite the opposite. Servant Leaders are committed to serving the best interests of their people and organizations by teaching, training, equipping, and empowering team members to be the best they can be. Ken Blanchard says it’s turning the organizational pyramid upside down where leaders serve the needs of others rather than being served. Teach – Teaching is one way that leaders serve others. All successful people have reached their station in life due to the efforts of others teaching them along the way. Great leaders understand that their success is perpetuated by teaching others how to be successful. Teaching is an ongoing process where leaders impart knowledge to others by their example or by guiding the development of the follower, perhaps through a mentoring relationship. Train – Successful leaders develop others by providing training and skill development to be successful in their roles. As opposed to teaching, training is more short-term focused on specific skills, projects, or goals that a person needs to learn or accomplish. Providing specific direction on a task by showing and telling how it should be done are primary ways leaders train others. Equip – Equipping others involves providing the tools, knowledge, training, time, money, and other resources for your team members to succeed. I’m sure you can think of your own personal experience where you’ve been asked to complete a task or goal but haven’t been given the resources to do so. Without properly equipping your people, you hamstring them from success. Empower – Just like the word “serve,” empowerment has gotten a bum rap over the years. We shouldn’t let that distract us from the fundamental value of the concept which has resurfaced in different contexts lately. Daniel Pink’s best seller, Drive, is essentially about empowerment. According to Pink, you unleash someone’s inner drive or motivation (i.e., help them be self-empowered) by providing them autonomy, mastery, and purpose in their roles. Successful leaders empower (literally “invest with power”) their team members to do what they were hired to do. Let Go – At some point leaders have to relinquish control and let their people work on their own. I remember teaching my oldest son how to ride a bike, running alongside him while holding on to the seat to help him balance, and then that scary moment of finally letting go to let him ride on his own. Letting go as a leader means trusting your people to do the right thing. If you’ve done a good job in serving them by teaching, training, equipping, and empowering, then you can let go with confidence. Evaluate – Everyone needs effective feedback, both positive and corrective, to help them improve their performance. Leaders build trust with their followers when they learn to communicate effectively, are candid yet caring, provide reward and recognition, and create a culture where mistakes are viewed as opportunities to learn rather than reasons to punish. Trust is the foundation of all successful relationships and one of the core elements of trust is the demonstration of competence. Leaders can build competence and trust by using the V-STTEELE model to live out their leadership purpose. September 29, 2011 in Empowerment, Leadership, Managing, Servant Leadership, Trust. Thank you Randy. You’ve captured these concepts beautifully. It warms my heart to see your wisdom poured into this information. Thank you! Thanks Danise, but really the pleasure is mine to support the great work you’re doing. Keep the faith! Great article. I am looking into getting this book and adding to a reading group I am starting at work with my peer managers. I was wondering if you have any questions or outline of things to ask or discussion starters that I can used based on your book for our reading group. I am looking forward to reading and discussing this with my fellow leaders. Thanks. Hi Vince, thanks for your comment! Actually, the book has a study guide in the back which I think you will find very helpful.